Entanglement to marine litter has been reported to occur worldwide in various species, and during the last two decades the number of species recorded to suffer from entanglement has more than doubled. In a study published in 1997, 135 marine species were documented being entangled to marine litter, whereas in 2015 the number of species has raised to 344. A substantial proportion of species recorded are marine mammals and birds, since they are better investigated than thousands of species of fish and invertebrates present in the world’s oceans. Most often animals are reported being entangled in fishing related litter, such as different types of nets. Derelict fishing gear abandoned or lost to the environment kill and injure countless marine mammals, seabirds, fishes and invertebrates annually. In addition to fishing related litter, also other anthropogenic debris, such as ropes, plastic bags and six-pack drink holders, can cause entanglement. Besides direct injuries and mortality litter causes to various organisms, they can also damage benthic habitats for example trough abrasion, translocation of sea-bed features and smothering. The chances of survival are poor in animals that are unable to free themselves from litter. When animals become entangled to litter, they may exhaust themselves and drown, their ability to move, forage or avoid predators may be impaired and they may get wounds and infections from the litter. Yet the extent of entanglement and its population-level impacts are not well known. For instance, the population sizes can fluctuate depending on availability of prey and other natural factors, which makes it harder to distinguish the effects of entanglement. However, the mortality associated to ghost nets and other litter may have impacts on the sustainability of fish stocks and populations of many other taxa. Especially endangered or protected species with already declining populations can be further affected by entanglement to marine litter. Ghost fishing occurs, when fishing gear is lost or discharged and continues catching fish and other species without any control by the fisherman. These fishing gear include for example gill nets, trammel nets and wreck nets as well as traps and pots which may continue catching fish, lobsters and crabs on the seafloor for long time. In spite of the fact that each type of gear is designed to catch particular target species, it can continue to fish both target and non-target species including endangered and protected species when discarded. When fishing gear is lost in productive fishing grounds, the loss of commercial and non-commercial species can be high. Deleterious effects of ghost fishing depend on gear loss rates and their catching efficiency, species composition and abundance and species vulnerability. Since majority of the gear is nowadays made of non-biodegradable synthetic materials, such as nylon, polyethylene or polypropylene, they can persist and continue fishing for long periods in the marine environment. In general, newly discarded nets are observed to be more deadly, which is at least partly affected by their invisibility: fouling reduces the invisibility and therefore the effectiveness of the net. The catching efficiency of ghost nets is also determined by their configuration in the water. For example nets that are stretched open between rocks or other formations kill more animals than nets that have collapsed or twisted and form a smaller catching area. Ghost fishing may continue long times due to the ongoing vicious circle: the animals caught in the net or trap act as baits attracting predators and scavengers which may get entangled themselves. Catching durations of ghost nets may vary according to location and net type. According to some estimates, gillnets may continue ghost fishing for 30–328 days, but more than 20 years old still active gill nets have been also found. In deeper waters ghost fishing seems to continue longer since fouling is not so quick and the waves cannot reach the nets and pile them. It is estimated that Swedish fishermen alone would annually lose roughly 156–165 km of fishing nets, which comprises approximately 0.1 % of all nets used in Sweden. Catching efficiency of lost bottom gill nets have been experimentally studied in the Baltic Sea between years 1998 and 1999 when 24 fleets of nets were placed in Hanö Bay, Sweden. During the exposure time of 27 months, majority of the fish caught by these nets were cod (Gadus morhua) and flounder (Pleuronectes flesus). The catching efficiency of studied “lost” nets was compared to commercial nets used in the same area at the same time. As time passed, catching rate decreased: during the first three months, the catching rate decreased by around 80 % and after that it stabilized around 5–6 % of the initial level. Declined catching efficiency was observed to be probably due to deteriorating of the nets, which also affected to the mean size of caught fish. Over time the nets transformed into good hiding places for small fish, and during the second year of the experiment the nets caught smaller cod than on the first year. 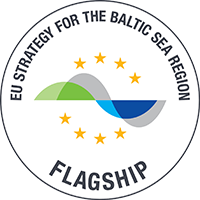 Even though the results shed light to the ghost fishing occurring in the Baltic Sea, they are not directly applicable to the whole sea basin since many environmental factors, such as water depth and sea bed morphology, may influence the function of the nets. Entanglement is the main cause of injury and mortality for endangered large whales in the western North Atlantic, where especially pot and gill nets are observed to entangle to the mouth or tail areas of humpback whales (Magaptera novaeangliae) and right whales (Eubalaena glacialis). A study inspecting the presence of wounds, scars or attached netting on right whales between 1980 and 2009 revealed that 83 % of photographed individuals had been entangled at least once and 59 % multiple times during their lifetime. In addition, 26 % of the identified individuals got new scars from fishing gear every year. Calves and juveniles were entangled proportionally more often than adults and also suffered from more severe entanglements. Despite of attempts to reduce anthropogenic litter in the marine environment, the numbers of Australian sea lions (Neophoca cinerea) and New Zealand fur seals (Arctocephalus forsteri) entangled with marine litter increased between 1988 and 2002 in Kangaroo Island, Australia. The entangling material included for example packing tape, monofilament and trawl netting, rope, plastic bags and fishing line with hooks. As seen also in whales, pups were the most entangled age class, which have been observed for example also in northern elephant seals (Mirounga angustirostris) in California, US and Californian sea lions (Zalophus californiacus californiacus) in Gulf of California, Mexico. It has been suggested that the higher incidence of entanglement in young pinnipeds may be caused by the curiosity of young animals: they are less experienced, more playful and forage closer to the water surface than adults. Some seabird species have been observed to collect marine litter for nesting material, which may lead to their entanglement. For example the nests of one northern gannet (Morus bassanus) colony in Wales, UK, contain on average 470 grams of plastic per nest, of which majority (83 %) is rope made from synthetic fibers followed by netting (15 %) and packaging (2 %). In total, 525 birds (approximately 0.7 % of the population) were entangled with plastic nesting material during the eight years of monitoring. Entanglement was most commonly observed in legs and feet, but occasionally also around wings. Majority of the entangled birds were fully-grown nestlings, and some of them had become entangled at younger age and had their skin grown around plastics. Sea birds also become frequently entangled to ghost nets: for example in a study made in Puget Sound, US, at least 15 species of birds including cormorants, scoters, loons and grebes have been found dead from derelict gill nets. The 876 recovered gill nets contained 0.59 birds on average per net, but the amount of birds per net ranged between 0 and 142. Entanglement to litter is also frequently detected in different species of sea turtles. In Brazil, 4.3 % of stranded sea turtles had died on fishing related activities, and in the east coast of Australia approximately 14 % of the incidences where the cause of mortality could be identified, it was attributed to fishing gear or shark netting. In addition, marine litter on the beach can prevent sea turtle hatchlings from entering the sea: in Mediterranean hatchlings have been observed to get entangled in stranded fishing nets and other litter. Since many of the world’s sea turtle species are classified endangered, entanglement of adults and hatchlings may further contribute to their population declines. Even though entanglement of marine mammals, seabirds and turtles are more often in a spotlight, it is a problem also to many fish and invertebrate species. Juvenile Brazilian sharpnose sharks (Rhizoprionodon lalandii) have been found with plastic rings around their gill or mouth region, which resulted in reduced mouth opening and hence feeding and gill ventilation. Entanglement can also cause malformations of the backbone as observed in one shortfin mako shark (Isurus oxyrinchus) and cause reduced swimming efficiency and disturbed growth. In Oahu, Hawaii, 65 % of the cauliflower coral (Pocillopora meandrina) colonies were observed being entangled with fishing lines in popular cast fishing site, and the percentage of entirely or partially dead corals correlated positively with percentage of colonies entangled with fishing lines. Also in Florida Keys National Marine Sanctuary, Florida, 55 % of gorgonians, 17 % of milleporid hydrocorals, 13 % of sponges, 9 % of scleractinian corals and 6 % of colonial zoanthid Palythoa mammillosa were affected by hook-and-line fishing gear. Other entangled invertebrates include for example crabs and abalones, sea urchins and octopuses.